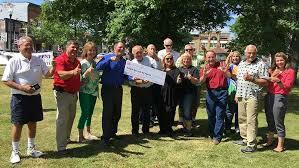 The Wisconsin Department of Tourism recently notified the Forest County Economic Development Partnership of its award of a Joint Effort Marketing (JEM) grant for the “Fall in Love With the Byway” promotion. An official award will be made by the Department of Tourism in August, and the campaign officially kicks off on September 4, 2018. 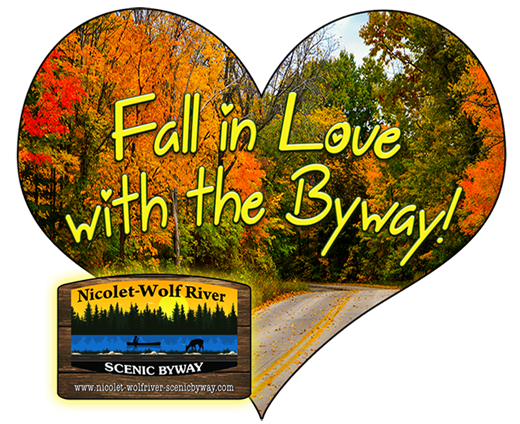 The Fall in Love With the Byway promotion is a cooperative effort between Langlade, Forest, Oneida and Vilas counties to promote the Nicolet-Wolf River Scenic Byway. The Nicolet-Wolf River Scenic Byway was designated as the state’s fifth, and final, scenic byway on August 22, 2017. The JEM grant will provide marketing dollars for the group to collectively promote the Nicolet-Wolf River Scenic Byway in a fall promotion that will begin September 4 and continue through October 31, 2018. The JEM award totals $38,633, and the group will contribute matching funds of $42,597, for a total promotional budget of $81,230. “We will work cooperatively with the four county destination marketing organizations, including the chambers of commerce and regional tourism entities, to share social media and website promotions, insuring our reach is including all the businesses, historical, cultural, recreational and natural resources that may be found along the Byway,” Mark Ferris, Forest County Economic Development Partnership Executive Director, said. “This promotion encompasses four counties that regularly work together to collective promote our communities. Through our collaborations, we have identified demographics that visit all four counties, and we look forward to showcasing the Byway to visitors,” Melinda Otto, Forest County Chamber Executive Director, said. The marketing budget will focus on social media, search engine optimization, online newspaper advertising in the Fox Valley and Milwaukee areas, radio marketing in the Fox Valley and Milwaukee areas, and statewide sponsorships with Wisconsin Public Radio. Area townships, county board supervisors and local businesses endorsed the JEM grant application, providing letters of support as part of the application. “We look forward to working cooperatively with our regional tourism partners to increase awareness of the Nicolet-Wolf River Scenic Byway, and to increase the numbers of visitors to our areas,” Ferris continued.